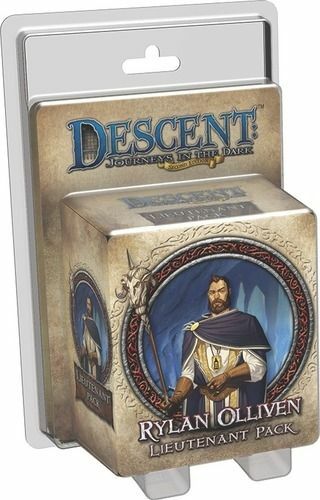 Bring your lieutenants to life with Lieutenant Packs for Descent: Journeys in the Dark Second Edition! The Rylan Olliven Lieutenant Pack introduces a sculpted figure and personalized Plot deck for the corrupt politician from the Shadow of Nerekhall expansion. Use the Ryland Olliven figure to replace his lieutenant token, or use his Plot deck to undermine the heroes in any campaign with false informants and double agents. Both overlord and heroes gain new options for strategic play through the threat and fortune tokens included in this Lieutenant Pack.